Publisher’s Note: This article, which appeared in the WEEKEND AUSTRALIAN (28 Feb 2015), sheds some light on avarice and self interest by former Health Services Union official, Kathy Jackson and her partner, Lawler, who was an Abbott-appointee to the Fair Work Commission. ‘Battle of wills’ relates how Jackson latched onto a prominent gay QC in Sydney and proceeded to take him down for his fortune of $30M. It is interesting that, despite being under an order by the NSW guardianship tribunal, the Australian gave a related news article front-page billing and published this article in its Inquirer section. * The quote from Animal Farm is my idea and not the author’s. Be mindful you can’t trust the Murdoch Press so the article should be read with a critical eye. 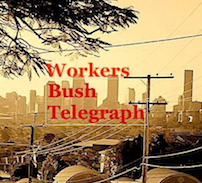 WBT publishes this article not through interest in a rich QC but through concern about how people like Jackson and the ALP MP she brought down, Craig Johnson, ever become a union officials especially in a sector of lowly paid workers. Ian Curr, Feb 2015. *Please Note that there is usually a prohibition on the publication of an adult’s name when that person is under a legal disability. 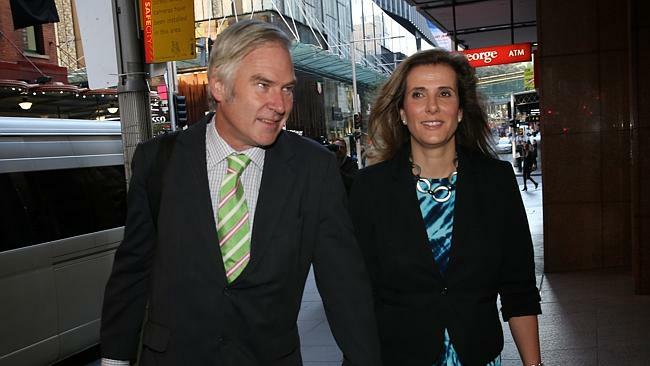 KATHY Jackson likes to tell the story of how she met eminent Sydney barrister David Rofe QC for the first time in 2012. He was listening to Alan Jones interview her on morning radio and heard her say that she had no legal representation for the courageous fight that shot her to prominence as a union corruption whistleblower. Still practising at 80 despite having few clients, and perhaps yearning for the limelight once more after a high-profile career, Rofe called the Jones program and asked to be put in contact with Jackson. He wanted to offer his services pro bono. Their meeting soon after was the beginning of an incredibly close relationship that would soon see Jackson and her fiance, Fair Work Commission vice-president Michael Lawler, assume a central role in the life of the elderly barrister and an ugly fight over his $30 million estate. Jackson, personally, would become an executor of Rofe’s estate and significant beneficiary of his will within a short time of meeting him, not long after moving to Sydney and severing her connections in Melbourne, where she had lived all her life, possibly unaware of Rofe’s existence. Lawler would soon become a pivotal controlling figure in Rofe’s life as well, with an enduring power of attorney and responsibility as manager of his finances. Lawler accompanied Jackson to meet Rofe in early June 2012 at Wardell Chambers. This was Rofe’s new workspace on the 15th floor at 39 Martin Place, in the hub of Sydney’s legal world, that had been arranged for him by loyal friends and former proteges John Agius SC and Anthony Tudehope, after Rofe’s 40-year association with the nearby prestigious Wentworth Selborne Chambers had been terminated amid doubts about his capacity to continue. Rofe briefly represented Jackson as legal counsel in the Federal Court that month. He also briefly represented Lawler in the same proceedings. Rofe described his treatment by Justice Geoffrey Flick in court as “outrageous” — but he abruptly withdrew nonetheless as Jackson’s barrister in response to the judge testily challenging his apparent confusion and zero knowledge of the case. It was a sorry postscript to Rofe’s glory days when he was renowned for his incisive mind and brilliance as a leading barrister in fabled court battles such as the Greek conspiracy case, Sankey v Whitlam and the Heiner affair. Rofe had been diagnosed with dementia almost two years before meeting Jackson. A highly respected neurologist at Sydney’s St Vincent’s Clinic, Ian Sutton, wrote on October 12, 2010, that he considered it “imperative” that Rofe cease his legal practice because of worsening cognitive impairment that he said was “irreversible”. Rofe chose to press on, moving chambers instead of being pressured into retirement. While Jackson was a stranger and newcomer in Rofe’s life, Law­ler was not. Lawler had known Rofe well — more than a decade earlier. Before the Howard government appointed him as vice-president of the nation’s dispute-settling tribunal with the quasi-status of a Federal Court judge in 2002, Lawler had been a neighbour of Rofe as a barrister on the 12th floor of Wentworth Selborne Chambers in Phillip Street. Lawler, who hails from an influential family as the son of Peter Lawler, a former head of the prime minister’s department, and the brother of John Lawler, who recently retired as boss of the Australian Crime Commission, is understood to have had a rocky friendship with Rofe in those days. It included a falling out shortly before Lawler’s 2002 commission appointment — which came with a glowing tribute from Tony Abbott, then John Howard’s workplace ­relations minister and crucial in recommending Lawler. Lawler had virtually no contact with Rofe from then on until June 2012, when Jackson, by now Law­ler’s partner after her marriage to former union official Jeff Jackson broke up, accepted help from the elderly barrister in her Federal Court battle to stop the Health Services Union being put in the hands of an administrator. The trigger for Jackson and Lawler’s sudden, much deeper involvement in Rofe’s life was an approach four months later from Nick Llewellyn, who claims to have been Rofe’s “close friend”, “dependant” and “virtual son” since 2000. Llewellyn told Lawler that Rofe was desperately ill in Sydney’s St Vincent’s Hospital and claimed that a group of the elderly barrister’s old family and friends, whom he branded the “nasties”, was seeking to have Rofe locked up in a nursing home, with Llewellyn locked out of his life. One morning in late September 2012, Rofe had been found in a confused state, wearing only boxer shorts, at his Martin Place chambers by colleague Tudehope. Rushed to emergency at St Vincent’s, Rofe then spent weeks in hospital, suffering delirium. He was diagnosed with pneumonia, which aggravated his dementia. His condition worsened with a life-threatening golden staphylococcus infection that he contracted while in the ward. Llewellyn left Sydney for a pre-paid holiday in Thailand with his partner Curtis Hodges, and returned on October 16 to find Rofe little improved. To his dismay, Llewellyn found that Tudehope had arranged for two of the old Rofe group, lawyer Bob McLaughlin and Rofe’s nephew Philip Rofe, who had invested his uncle’s fin­ances for years, to take charge of the seriously ill barrister’s affairs. Llewellyn had an added motivation to seek Lawler’s help: the old Rofe group was trying to switch off his regular monthly payments of $10,000 and other financial support that David Rofe provided, to which he had become accustomed. Llewellyn also wanted Rofe to follow through on a promise to buy a $1.7m apartment in Sydney for him and Curtis. 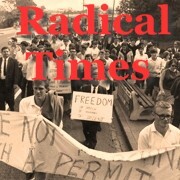 As Llewellyn had put it to Rofe at an early stage of their relationship, in a letter on April 14, 2002, following an introduction from Sydney barrister and former Liberal MP Ross Freeman: “I guess this relates to you because you seem to want to spend some time with me, but you don’t seem to realize (sic) some true facts in life. By late October 2012, Lawler was fighting, boots and all, for Llew­ellyn as Rofe ailed in hospital. He brought in a commercial disputes lawyer, Rodney Kent from Kent Attorneys, to take on the old Rofe camp, which also included lawyer friends Agius, Tude­hope, Brendan Hull, Bob Cameron, Andrew Cameron and Tim Murphy. When Rofe had sufficiently recovered, St Vincent’s suggested he be moved to a public nursing home in Sydney’s northwest. The old Rofe group proposed instead that he be shifted to Lulworth House, a private nursing home in Sydney’s eastern suburbs where famous residents have included Gough Whitlam and Neville Wran. During a lot of wrangling, the power of attorney for Rofe briefly switched from McLaughlin and Philip Rofe to Law­ler-backed solicitor Kent, and then to barrister and David Rofe friend Hull. In one letter to the old Rofe group, Lawler declared that the medical opinion of Rofe’s doctor, specialist geriatrician Sandy Beveridge, was “so obviously flawed” because in Lawler’s opinion Rofe was lucid and sharp, and had “vigorously” maintained his instructions to Kent as his new solicitor. The old Rofe group and Beveridge were especially dismayed when Rofe was persuaded at one point in the melee to accept Kent as power of attorney, with $50,000 swiftly shifted to Kent’s trust ­account. Lawler eventually won a fight to have Rofe returned to the familiar surroundings of his Woollahra home before Christmas 2012 with 24-hour nursing care. By June 2013, Lawler further succeeded in persuading the NSW Guardianship Tribunal that, given his judicial standing and experience, he was absolutely the right person to be financial manager of Rofe’s $30m fortune with an enduring power of attorney. A power of attorney is described in official government information as “an important and powerful legal document” that gives the attorney the authority to buy and sell real estate, shares and other assets, to operate bank accounts and to spend money on behalf of the protected person. The attorney must always act in the best interests of the person. Unless expressly authorised, the attorney cannot gain a benefit from being an attorney. The authority “cannot be used for health or lifestyle reasons”, and the attorney “must always act in the best interests of the principal”. Lawler’s power of attorney, arranged by Susanna Ford, a Lawler friend with a weekender near his home at Wombarra, south of Sydney, and a solicitor at law firm Arn­old Bloch Leibler, carried special provisions for Llewellyn’s upkeep: Llewellyn was to receive a payment of $150,000 to clear credit card debts; regular payments of $10,000 a month; and $1.45m to ­assist in buying him an apartment. The monthly payments were conditional on Llewellyn continuing to visit Rofe at least four times a week “for more than two hours on each occasion” and performing tasks “including providing companionship”. The payments were described as “loans” repayable on Rofe’s death or on request. After Rofe’s arrival home, Jackson became particularly close to him and part of his daily life. She spent considerable daytime hours sitting with him in his living room as a companion, and they lunched regularly at Rofe’s favourite nearby restaurant, Zigolini’s. Rofe also accompanied Jackson to court hearings, albeit as an ardent supporter, not a barrister. He made semi-regular visits with his carer to Jackson’s Wombarra home, where she has lived with Lawler since buying the property in July 2012 for $1.3m. The property was found for Jackson by lawyer Ford’s partner, real estate buyer’s agent and Lawler friend Chris Curtis. On June 28 last year, during Lawler’s period of authority to buy real estate for Rofe using Rofe’s money, a $1.35m property was purchased for Rofe next door to Jackson’s home at Wombarra. With the ailing barrister’s dementia worsening, and the role in his life of Jackson and Lawler noticeably flourishing, Llewellyn became increasingly alarmed at the couple’s influence. So alarmed, in fact, that he sent them an angry three-page letteron August 22, 2013 — only two months after Lawler took charge and well before the Wombarra property purchase. Llewellyn started by calmly discussing a $10,000 birthday gift he had received from Rofe in addition to “my monthly payment of $10,000.00 for July” — but his letter quickly turned into a tirade. Addressing the couple mostly in the third person, Llewellyn accused Jackson of superseding his position in Rofe’s life. “I am not playing games with the both of you. It is clear Kathy is working with Michael to eliminate and destroy my credibility with David,” he claimed. Llewellyn lamented that his close friend, self-described “accountant, estate executor and end-of-life specialist” Nick Illek, had also been shut out of deliberations on Rofe’s will by Lawler. In 2010 Illek had a power of attorney for Rofe and was the executor of several of his many wills. Illek had penned an unsolicited eulogy for Rofe’s approval in 2011 that called him “the Quentin Crisp of law in this state”, and asked for Rofe’s “desires and preferences with regards to the disposal of your remains on your demise”. Illek would later describe his friend Llewellyn in official documents as a “parasite” and as having a “parasitic relationship” with Rofe, while stressing that such a relationship “can be mutually beneficial” and in this case was particularly “very beneficial” to Rofe. Twelve months later, on Aug­ust 24 last year, Llewellyn vented his anger in a formal written submission about Jackson and Lawler to the Royal Commission into Trade Union Governance and Corruption in the hope that its counsel assisting, Jeremy Stoljar SC, might take into account the couple’s financial dealings with Rofe while he investigated Jackson’s separate alleged misuse of more than $1m of HSU funds. The 40-year-old Llewellyn, who was born Nicholas Herceg and now calls himself “Lord Nicholas Alexander Llewellyn, Lord of Glencoe”, told Stoljar in his submission about his bitter falling out with Jackson and Lawler within months of Lawler gaining control of the Rofe estate in June 2013. He detailed how the couple had allegedly tried to shut him out as Jackson sought to replace him as the closest person in Rofe’s life. Llewellyn, who has a law degree from Bond University and once worked for the openly gay Sydney lawyer John Marsden, with whom he had a brief and ultimately fractious relationship, claimed in his submission that between July 2013 and March last year, Lawler and “especially” Jackson exerted influence on Rofe to the point that Rofe agreed to finalise a will that made Jackson “co-executor” and bequeathed her “a sum between $2m and $2.5m” on Rofe’s death. Llewellyn also referred in his written submission to the $1.3m purchase of the Wombarra house for Rofe in June last year, making the extraordinary allegation that Lawler “bought the protected person a house with the protected person’s money next door to Law­ler and Jackson in Wombarra with the obvious intention of moving that person there (I suspect to control and further extract more money out of his estate)”. According to Llewellyn, Rofe reacted “very badly” when he learned about the Wombarra purchase and wanted Lawler’s power of attorney revoked. The trigger for Rofe’s “expressed outrage”, according to Llew­ellyn friend Illek in other official documents, was Rofe allegedly discovering that Lawler had made a $160,000 withdrawal from his bank account that “appeared to be a deposit on some property”. Llewellyn claimed in his submission to Stoljar that after the Wombarra purchase, Rofe exec­uted a codicil to his most recent will of March 2014 that significantly reduced Jackson’s inheritance to $50,000 and removed her as an executor. Llewellyn claimed that Lawler and Jackson had then engaged in “a hate campaign” against him, accusing him of being “a despicable person, a liar and even a thief”. A solicitor for Lawler said that Lawler had acted at all times honourably, generously and in good faith in relation to Rofe. He said Lawler had become power of attorney at Rofe’s request, and Rofe had agreed in advance when Law­ler wanted to buy the Wombarra property for him. 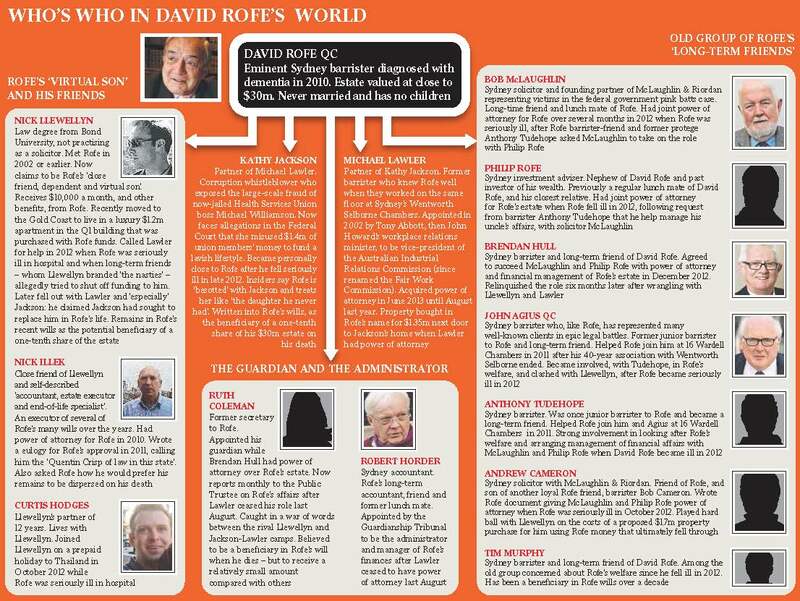 Lawler had “repeatedly requested Mr Rofe not to make him a beneficiary under Mr Rofe’s will”. Jackson did not respond to detailed questions about her role. After it was briefly revoked, Lawler regained his power of attorney with Rofe’s signed blessing. He did, however, give it up altogether, including his role in managing Rofe’s financial affairs, after the matter was sent to the NSW Guardianship Tribunal for review on August 19 last year following further agitation from Llewellyn. In Lawler’s place, to look after Rofe’s welfare, the tribunal revised the arrangements so that Ruth Coleman, the elderly barrister’s guardian since late 2012, would ­report monthly to the Public Trustee. Robert Horder, Rofe’s longtime accountant, was installed as administrator on $280 an hour to manage Rofe’s finances and pay his bills out of the estate. During the conflict over who should handle his estate, numerous wills have been drawn up for, and signed by, Rofe over the past two years. They have included varied proposed inheritances for Jackson, Llewellyn and others as the battle has raged about how the estate eventually should be split up. In one of the wills drawn up last year, Jackson was inserted as a co-executor and as the beneficiary of a one-tenth share — or close to $3m, based on current estimates of Rofe’s $30m wealth, which is invested in an extensive shares and property portfolio. The other executors of this will are understood to be the accountant, Horder, and Jonathon Rofe, a nephew and one of few in the old Rofe group still on good terms with Jackson and Lawler. Llewellyn is understood to remain a beneficiary in Rofe’s latest will, but much of his inheritance has allegedly been cancelled out: the will is understood to make clear that he will inherit one-tenth — the same as Jackson — but must repay about $2.4m, according to an accountant’s spreadsheet, that he has received from Rofe since 2002. Considering the acceleration of Rofe’s dementia since his diagnosis in 2010, it is not clear what legal standing last year’s wills — or other wills from the past few years — would have in the event of his death. An epic battle is expected in the probate court. Insiders claim that during the period Lawler held power of attorney, and on at least one occasion since then, Lawler has taped Rofe in conversations using a digital recorder and even filmed him talking. Allegedly the reason for such recordings has been to verify whether Rofe could be considered capable of signing legal documents despite his obvious decline. A range of medical specialists also has been brought in at times to examine Rofe and give expert advice on his state of mind — a practice attacked by some close to Rofe as “doctor shopping” to allegedly challenge the conclusions in the original “irreversible” cognitive impairment diagnosis made by Sutton in 2010. Rofe continues to live at his Woollahra home. From time to time he is driven to see Jackson at Wombarra. He visits his Wombarra house next door, which is ill-equipped for a disabled person. He prefers to return to Woollahra in the evening. Jackson faces a further Federal Court hearing in June when her next big legal battle starts: a fight to beat off allegations that she used $1.4m of union members’ dues to fund an expensive lifestyle over a decade that included international holidays and personal luxuries, as well as divorce payments for her former husband. Lawler returned to work last month after “long leave” to look after Jackson. He continues to receive his salary package of $435,200 a year, although he has been largely frozen out of the leadership at the Fair Work Commission after a decision in the dying days of the Gillard government by then workplace relations minister Bill Shorten to install two new deputy presidents above Lawler in the tribunal’s pecking order. Llewellyn continues to receive his $10,000 monthly payments but is on the periphery of Rofe’s life. He lives in a luxury apartment in the Q1 building on Queensland’s Gold Coast that was bought for him last year in Rofe’s name with $1.2m of Rofe’s money. THE Health Services Union has referred its former ­national secretary Kathy Jackson to fraud squad detectives for investigation, sending a 4000-page dossier of evidence to Victoria Police outlining allegations of misappropriations worth nearly $1 million. The referral draws upon ­detailed records uncovered by subpoena during Federal Court proceedings launched by the union against Ms Jackson. The case is due for trial in June. The union alleges Ms Jackson used her role as an official to misappropriate $284,500 and transfer it to a “slush fund”, the National Health Development Account, between 2004 and 2010. Significant amounts were also transferred to Ms Jackson’s personal mortgage account and savings accounts and spent on retail purchases or withdrawn as cash during or immediately ­before she took overseas holidays, the union alleges. The HSU’s civil case against Ms Jackson has previously been postponed because of Ms Jackson’s mental health issues. She has spoken openly about her battle with depression, which was exacerbated when she became an outspoken whistleblower against former HSU boss ­Michael Williamson, who is now serving five years in jail for fraud. The union claims Ms Jackson misappropriated $350,399 through unauthorised expenses on her union-issued credit cards, including $170,554 on travel and holidays, $101,783 on shopping, $28,288 on food and alcohol, and $44,537 on entertainment. Further unauthorised use of union funds allegedly occurred by Ms Jackson cashing 38 cheques worth $269,237, with some of the cheques being cashed on the same dates as large cash deposits into her mortgage and savings accounts or just ­before her overseas holidays. Jeremy Stoljar, the counsel ­assisting the royal commission, recommended criminal charges be laid against Ms Jackson for submitting a “false claim” when she negotiated a $250,000 payment from Melbourne’s Peter MacCallum Cancer Centre for the HSU after a dispute over workers’ back pay, but commissioner Dyson Heydon did not delve into this area in his findings. National secretary Chris Brown said he was confident Victoria Police would launch an investigation given the depth of the union’s evidence against Ms Jackson, partially acquired by a forensic accountant. “It’s as thorough as we can make it,” he said. “Given what we’ve done and what we’ve given them, they can’t not take it seriously. The HSU’s national council last year voted unanimously in favour of the referral, which relates to a 13-year period including Ms Jackson’s time in the HSU No 3 branch. In February last year Victoria Police dropped a separate investigation into Ms Jackson relating to complaints made in 2012, which Mr Brown yesterday described as “wild, unfounded ­accusations”. “The HSU is vigorously pursuing those who have taken advantage of the trust placed in them by members,” Mr Brown said. Ms Jackson last night said the referral was part of an “unrelenting personal campaign” against her by senior HSU officials ­including Mr Brown “as payback for reporting corruption of their colleagues”. “Since 2011 I have repeatedly called on persons with allegations against me to take those allegations to the police,” she said.